Hardwood floor. For me, it’s still by far the best kind of wood flooring you could ever have. That’s also why it’s the most expensive. Why the best? Because it’s authentic, real wood. It looks real, feels real, and is durable. Sure, through time, it becomes worn out and faded. Which leads me to another great thing about it. It doesn’t need to be replaced—only refinished. 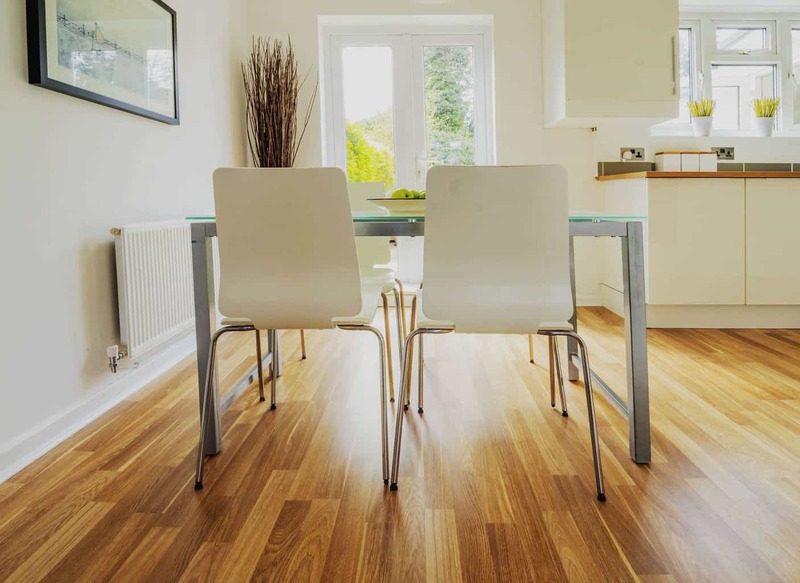 ​Related Reading: Check out our article about the best hardwood flooring with reviews, comparisons and a buyer's guide! This is where all home renovations and repairs start – checking and measuring. 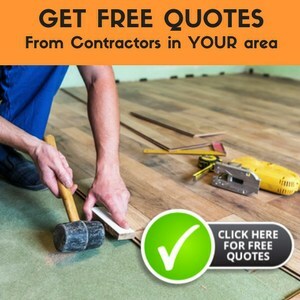 Start with checking the thickness of the solid wood flooring. The minimum thickness should be 3/4 inches so that you have enough wood flooring left after sanding. Don’t worry, wood this thick and can take anywhere from 6 to a dozen refinishing’s within its lifespan. Not sure if it needs refinishing in the first place? Put a few drops of water on the floor. If they soak in too quickly, then it’s time. 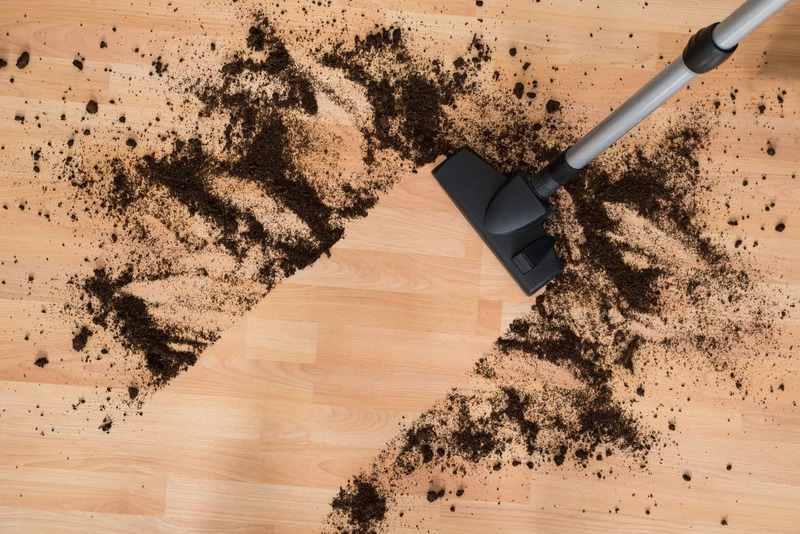 The first and most important thing you should do is clear the area and clean the floor surface. Vacuum the floor and clean it with a rag dipped in mineral spirit. As much as possible, keep the floor dust-free. Remove all obstructions like furniture, base moldings, and doors. Make sure there are no protruding nail heads or staples on the floor. 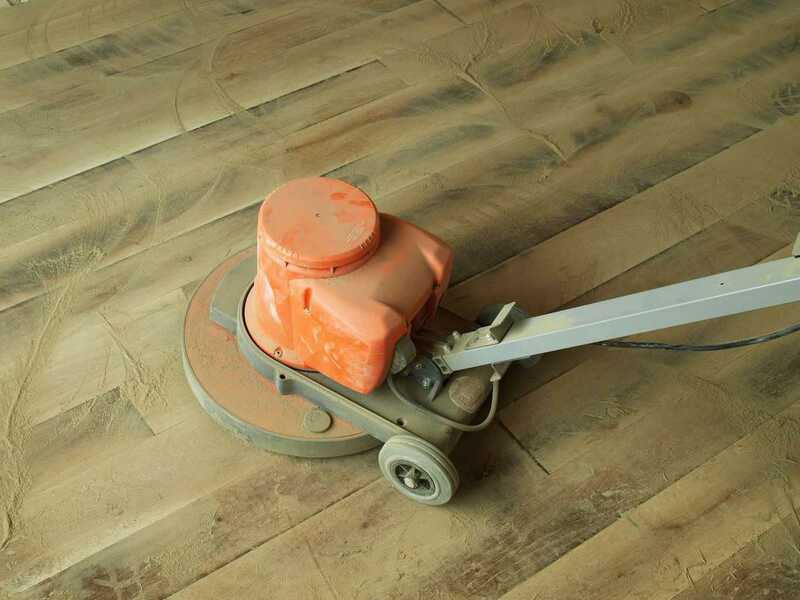 If you do not prepare the surface thoroughly, any obstructions can not only damage your sanding machine, but also delay the completion of refinishing the hardwood floor. Flatten out wood planks that are lifted off of the floor and forming a ridge with another plank. The buffing machine will accidentally strip off the surface of the plank that is higher. How to flatten these? Apply pressure by holding it down or standing on it, and fixing it in place with a nail. Also known as “screen and recoat,” you can take this step if you know that only the top coating (usually polyurethane) needs repair. This means that the actual wood floor is still intact and you can skip the sanding part. Screening refers to lightly sanding over the top coat of the floor using a buffing machine. A screen is less abrasive than sandpaper. When buffing, put the screen under a soft pad to soften its abrasive effect. This technique will leave texture on your floor so that the new polyurethane coating will adhere easily. If buffing is not enough, you will have to sand the floor instead. This process usually takes 3 successions, from a heavy grit (30-40) to medium (50-60) to fine grit (80-100). 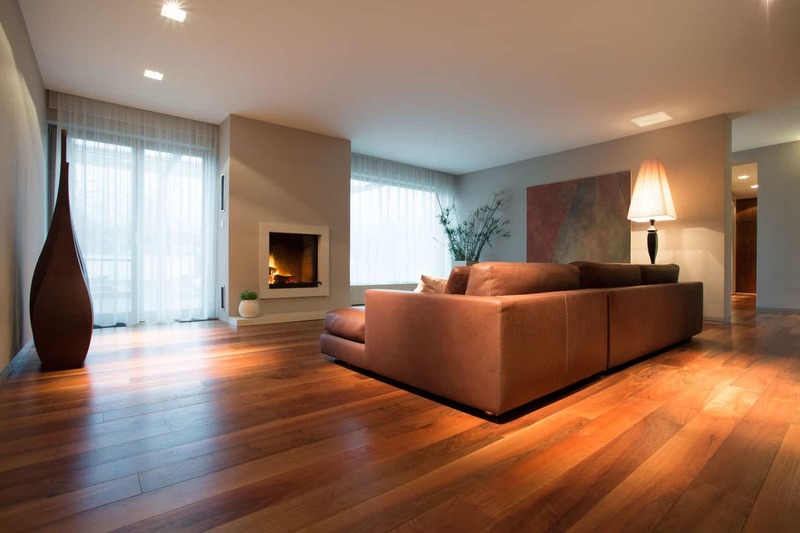 Some professional hardwood floor refinishing companies offer dustless sanding, where they connect the sanding machines to vacuums to minimize dust. There are two kinds of sanders that are commonly used: orbital sanders and drum sanders. Orbital ones are easier to handle if you DIY and are recommended for flat surfaces. Drum sanders are used for wavy surfaces and are better handled by a professional. Once you’re ready with your sander using a heavy grit sandpaper, start at the farthest end of the room and move the sander in the same direction as the grain. When one row is finished, return back along the next row, with an overlap of about an inch with the previous row. Because the room edges and corners are harder to reach using a large sander, use a hand sander instead. After sanding, make sure to vacuum the surface thoroughly in preparation for the succeeding sanding process. You should also apply wood filler to cracks and holes after sanding. For the second and third sanding pass, use the same process as above. For the second pass, use a medium grit sandpaper, and for the third pass, use a fine grit sandpaper. Now that you’ve finished sanding, you may wish to keep the natural color of your wood floor or you may want to change its tone or color. 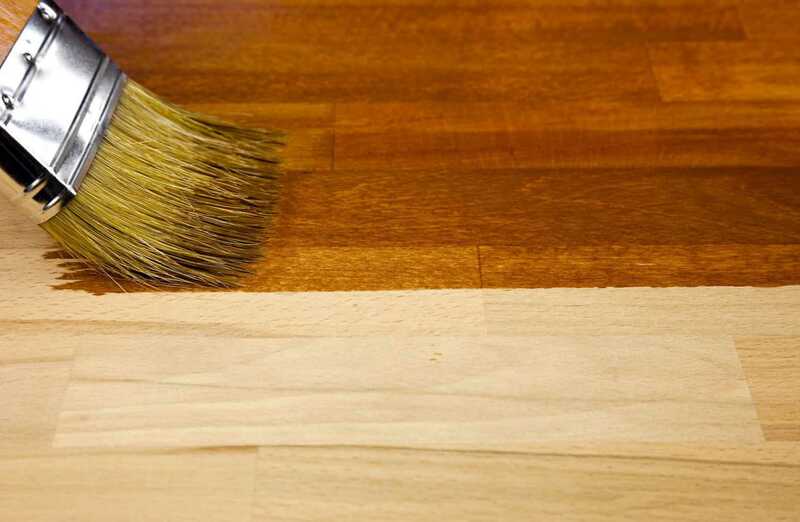 If you’re happy with the natural color, apply a sanding sealer and then sand the floor again when it’s dry. When staining the floor, you need to apply several coatings and sand the floor in between. Make sure that you have calculated the number of cans you need based on the coverage area. You wouldn’t want to end up lacking in wood stain in the middle of the application. Water-based finishes don’t emit a foul odor, unlike the oil-based ones. They have low VOCs and give a clear finish, preserving the natural look of the wood. They also dry quickly—ideal for fast renovation projects so that you can use the room right away. Oil based polyurethanes, once applied, show a more reddish glow. They are said to be more durable, but they have a strong odor and you cannot use the room a few days after application. When applying polyurethane as the finishing touch to your floor, open all windows and doors for ventilation. Don’t shake the can before opening it. Stir the contents slowly after opening the can so there are no bubbles during application. Make sure your brush has no loose fibers. Use an adhesive tape to pull them off. Now you’re ready to apply the polyurethane. Start at the farthest point of the room and move the applicator slowly to ensure that the sealant is even and uniform. With each run, allow a small overlap from one portion to the next. Let the coating dry according to product instructions. You might also need to sand the floor again before applying a second coat. Wait for the second coat to dry for a few hours or a few days, depending on the kind of polyurethane you used. To check if it’s ready to be stepped on, touch the floor. If it’s still sticky, then you have to wait some more. Once the floor is completely dry, reattach the baseboards that you removed earlier. You can also now bring in the furniture as long as it is lifted properly. Do not slide it along the floor—this will result in scratches. There is some hardwood flooring that is finished with aluminum oxide compounds. These are more durable but also more difficult to strip off. In this case, you should reverse the sanding process by starting with the fine grit and ending with a heavy grit. The fine grit helps break down the hard outer layer of the coating. In some cases, you might not need to refinish the whole floor, but just portions of it. These might be areas that are used more or are often scratched by pets or furniture. What you need is spot treating. 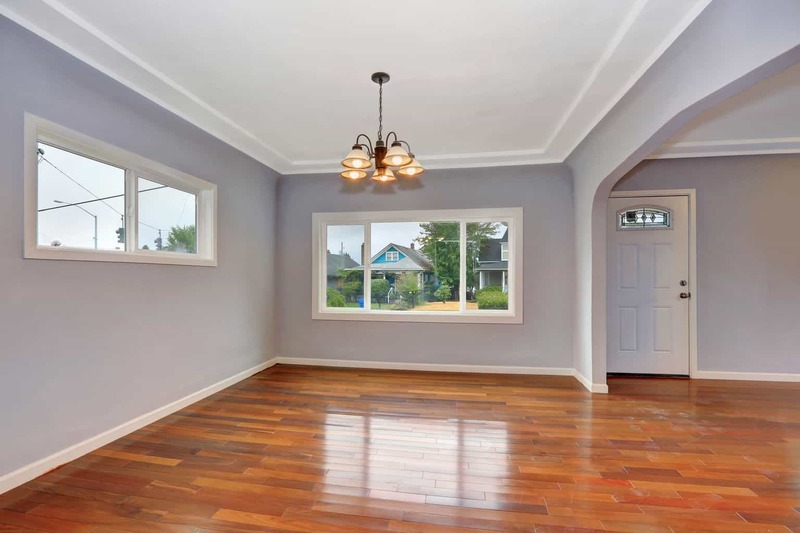 There’s a big chance that the newly refinished spot will not exactly match the existing floor, but it will save you a lot of time and money. To start off, sand the problem area along the grain, using a 180 to 240 grit sandpaper. Extend beyond the problem area by around an inch. After that, try applying a sample of different stain colors and let them dry to see which one is the closest match. Also take into consideration that the current floor has a polyurethane coating. You also need to choose a polyurethane to match, whether it’s a flat or glossy finish. Use a foam brush and apply it from the edges toward the center. So that’s it. Use this step-by-step guide and you can appreciate the hardwood floor in your room that’s now looking brand new. If you have any specific steps that have worked for you in your DIY wood floor refinishing project, please let us know in the comments.